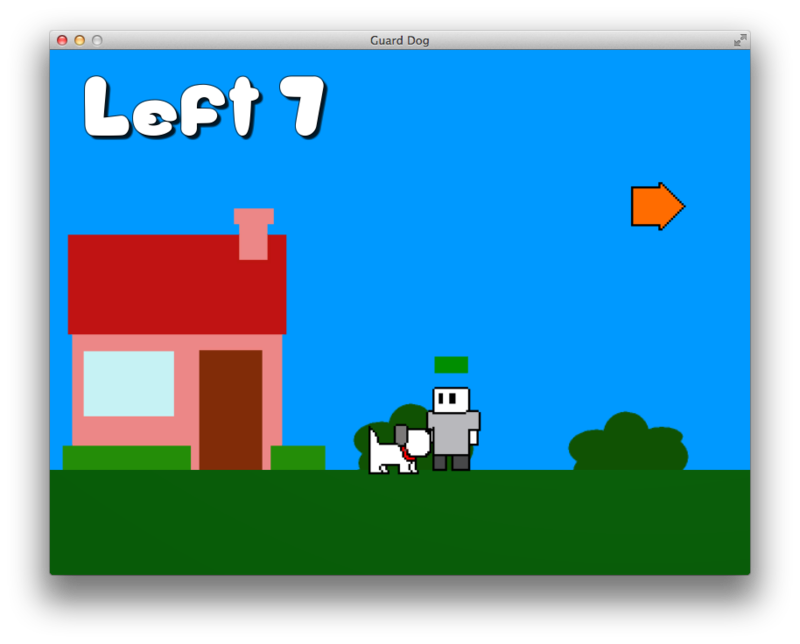 Guard Dog is downloadable for Windows or Mac OSX. Control the Guard Dog by using the arrow keys. Pedestrians, Joggers and rotund gentlemen will try to wander over to your house. Scare them off by running up to them and biting them unit they flee! Background Music is "Walking the Dog" from Youtube's music library. Download and play the standalone app or exe.